For as long as any of us can remember, we’ve been relying on recommendations from family and friends for everything from cars to the best brand of toothpaste. At one time, this type of word-of-mouth review was simple and straight-forward. Then, technology entered the picture, the way we interact with one another changed drastically and it became easy to discount the human aspect of marketing and business. In our tech-driven world, people are more widely connected than ever. It’s not just about creating messages — it’s about delivering real human experiences to the masses. Smart marketers and business owners who can figure this out are the ones using the most influential form of information consumers rely on when making purchase decisions: word-of-mouth marketing. 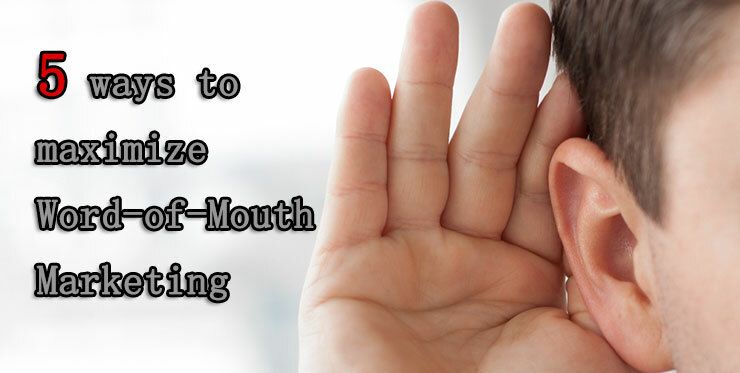 If word-of-mouth marketing sounds simple, don’t be fooled — it isn’t. Creating cutting edge buzz-worthy messages that go viral is no easy task. How do you turn consumers into passionate brand advocates through word-of-mouth marketing? How do you fuel conversations that make people want to talk and share your message with their network? Consider how the thoughtful word-of-mouth campaigns below connected with consumers on a human level and, in turn, generated massive awareness and profits to their brands. Take for example Reckitt Benckiser’s Dettol, known as Lysol in the U.S., which found that its liquid antiseptic was struggling to grow in China outside of the most populous cities. Furthermore, its TV ads weren’t building the kind of brand awareness Reckitt Benckiser needed, not to mention the ads were extremely pricey. Reckitt Benckiser eventually teamed up with Advocacy WOM to plan a word-of-mouth campaign focused on influencer moms. The company distributed 48,000 samples to 4,000 influencer moms who each received one kit for herself and 10 more for her friends. The campaign was a massive success, reaching 46 percent of the brand’s target audience. In five months, brand awareness increased five times, purchase doubled from 21 percent to 42 percent, and sales increased 86 percent in only two months. The Make-A-Wish Foundation is well-known for its dedication to granting wishes to children facing life-threatening illnesses. Getting people aware of your brand is one thing — staying in the conversation is another. To achieve the latter, the non-profit organization created a compelling event for Miles Scott, a 5-year-old cancer survivor in remission, who wished he could be the superhero, Batkid, for one day. A Red Bull Wings Team that drives around Red Bull branded vehicles distributing samples while having fun and generating buzz. A student-brand manager program that sponsors students to build awareness at events near their campus. A Red Bull bedroom jam which hosts talent show events that target students. A Red Bull reporter program which sponsors journalism and film students to create stories and buzz for the brand. Another example of a word-of-mouth campaign that involved communities effectively is when Vail Resorts created an online and mobile app that connected skiers with their networks on the mountain. In 2010, Vail launched EpicMix which used RFID technology embedded into season passes and lift tickets to allow riders to learn where they rode, when they rode, and how far they traveled, which motivated and challenged riders to push themselves while sharing their stories and achievements with their friends and family. After going live in December 2010, 100,000 guests — or 15 percent — of total eligible guests, activated accounts on EpicMix and generated more than 35 million social impressions. More than half of small business owners say they’re going to generate growth this year by focusing on improving existing customer experience and retention. These business owners have the right strategy plan. A 2015 report found that the probability you’ll sell to an existing customer is 60 percent to 70 percent, while that percent is between 5 percent and 20 percent for new customers. Based on these numbers, businesses should be focused on creating customer service that transform customers into fans who can’t stop talking about your brand. It’s not so much about gifts and promotions either, but how you communicate and treat the people who keep your business afloat. One of the worst things you can do in a word-of-mouth campaign is make it difficult for consumers to leave reviews, recommendations and communicate with one another about your brand. Simplify the process for customers to interact with brands, similar to the way 3M ESPE, a manufacturer of dental products, did when it made its review process so simple that the company increased customer review volume on its products by 200 percent in three days. Word-of-mouth is the oldest form of advertising, and it’s still instrumental to getting your message out there in today’s technological, fast-paced world. The difference is, how do you get people to care when you’re not giving them the message face-to-face? The above examples are excellent go-to case studies of successful word-of-mouth marketing campaigns. When all else fails, think about what people are talking about. What’s in the news? What are people sharing on social media? Consider coming up with a campaign to piggyback off of conversations that are already happening, as Starbucks did when it announced its baristas are encouraged to talk about race with customers. Whether this was a good or bad move for the coffee giant, it generated massive media coverage and got the public talking. No matter how advanced we become in technology, it’s important for brands to understand that they’re still connecting with humans. In other words, forget about the followers and “likes” everyone else is trying to gain, but focus on deeper insight — think about what people want to talk about and identify the people who can help you get your message out there.